The first Synchro Machine Type Archetype to have been released, and, for what it's worth, the only. They are based off the puppets used in Japan in the 17th to 19th century, and their effects revolve around Normal Summoning. All being EARTH Atrribute, they also match well with the cards Gozen Match and Rivalry of the Warlords, as well as their ability to use Naturia Beast and Naturia Barkion. The fact about these cards is, despite their seemingly slow nature, they are able to spam the field incredibly fast. Though it doesn't go without flaws. All Karakuri Monsters, aside from the Synchro's, have a fatal downside to them. They have to attack, when able. If your plays get stopped before you can Synchro, you must attack with any Karakuri Monster in attack Position, something you most of the time don't want. Also, their ability to change battle positions, is a feature they have claimed as their own. Seen their weakness of having to attack, they have this built into their effects. Whenever one is Attacked, it either changes to Defense Position, or changes the Battle Position. This makes a perfect way to have your opponetn think twice before attacking you, and also allows you to put their effects to maximum usage. Seen their major battle position altering, there are some support cards that work with that, from themdirectly. The most useful one, being Karakuri Anatomy. But you'll learn more about that later on in the Article. As previously mentioned, they work on changing battle positions, and Normal Summoning. Now, you might say, throw in Ultimate Offering, and Double Summon, and it's a great deck. To the contrary. Those cards slow your plays most of the time, since you'll have to wait for them, if you play in that way. Not to mention, they deadraw very easily. Instead, Karakuri has the ability do do the Normals on their own, by the use of "Karakuri Komachi mdl 224 'Ninishi'". Her effect, which is continuous, allows you to Normal Summon an Extra Karakuri Monster, in addition to your initial Normal Summon. This can only be gained once per turn, therefore, it's not as overpowered as one might think. But we have more for that. Here are some of the most important Main Deck Monsters for Karakuri. This is Karakuri's main engine for extra normalling, and first turn dropping out it's boss Synchro's. It's necessary, and you basically can't run without it. Target for Machine Duplication, but also victim to Chain Disappearance. This card must attack if able. When this face-up card is selected as an attack target, change its battle position. When this card destroys an opponent's monster by battle and sends it to the Graveyard, select 1 Level 4 or lower "Karakuri" monster in your Graveyard, and Special Summon it in face-up Defense Position. The one who runs over stuff, then brings back Karakuri's you previously used for Synchro, or other stuff. Shame he brings back his target in defense, so that one cannot attack as well, but there are ways to bypass that, with, for example, Nishipachi, who would put iteslf to Attack, or Enemy Controller. This card must attack if able. When this face-up Attack Position card is selected as an attack target, change it to Defense Position. When this card is Normal or Special Summoned, select 1 monster on the field and change its battle position. Brilliant. 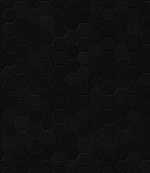 It allows you to simply put anything into Defense or Attack Mode. And not only that, it's a Level 3 Tuner, so it's able to make Burei as well. Often used not, or just once, but I see more potential in it then most others do. This card must attack if able. When this face-up Attack Position card on the field is selected as an attack target, change it to Defense Position. When this card is destroyed by battle and sent to the Graveyard, you can Special Summon 1 Level 4 or lower "Karakuri" monster from your Deck in face-up Attack Position. This is the answer mostly for going first turn, without any protection up. You can't spam, its be Dark Hole'd, or anything of the sort, so you set him, and jsut wait for your opponent to run into it, then usually get another Nisamu, if he has more, or Ninishi when it was his last attack. This card must attack if able. When this face-up Attack Position card is selected as an attack target, change it to Defense Position. When this card is Normal Summoned, add 1 "Karakuri" card from your Deck to your hand. The searcher of Karakuri. It oftenly searches their Spell, Karakuri Cash Cache, which then searches further. Mainly used only Turn 1, or when the intention of making Beast with Ninishi is there. Most used Synchro in Karakuri. 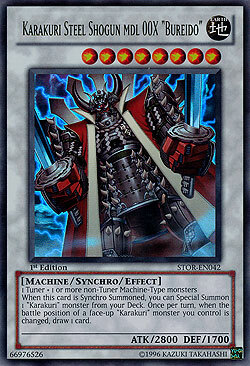 When Synchro Summoned, it Summons a Karakuri Monster (any) from your deck. You can then use that, to go on with things, and just spam more and more. Also, being Lv 7, if you have more, you can overlay into Dracossack or Big Eye. One of the draw cards they have. it's the Level 8, and like Burei, also summons any Karakuri frmo your deck, when Synchro Summoned. Yes, the deck has Spell and Trap Support. Even though the traps usually are not used, the spells are. But, we'll go through both now, so that'll be done. Select 1 face-up "Karakuri" monster you control. Add 1 Level 4 or lower "Karakuri" monster from your Deck to your hand, and change the battle position of the selected monster. Karakuri's Search Engine, along with Inashichi. Combined with another spell, Karakuri Anatomy, it works brilliantly. You add, switch a Karakuri's Battle Position, and Anatomy gets a counter. Also important to note, if you use it, and target a Karakuri, it doesn't matter if that Karakuri leaves the field, or ends up Face-Down. You can still search, even if you cannot change the battle position of the targeted monster anymore. 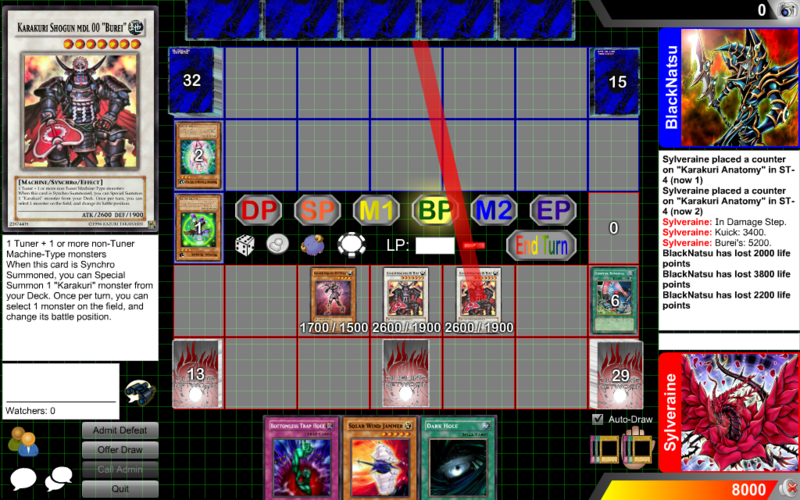 Each time a "Karakuri" monster's battle position is changed, place 1 Karakuri Counter on this card (max. 2). 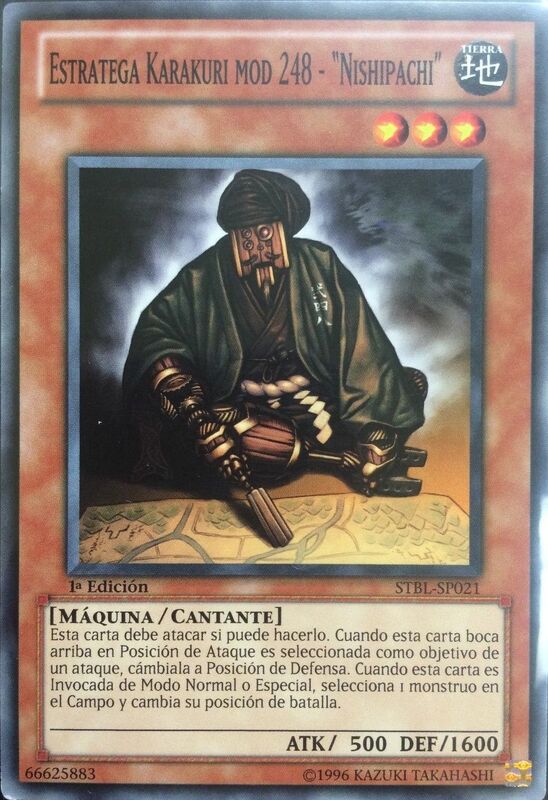 You can send this card from the field to the Graveyard to draw 1 card for each Karakuri Counter on this card. Pretty nice, seen how most Karakuri Monsters use their changing Battle Positions effects. Just hard to keep alive, before it get's destroyed by a Dust Tornado or Mystical Space Typhoon. But brilliant in combination with 1 Anatomy, and 2 Cash Cache. Activate only when the battle position of a face-up "Karakuri" monster you control is changed. Select 1 card on the field, and destroy it. Pretty nice. Personally don't run it, but nevertheless, has quite the nice ability to take out threats. Activate only if you control a "Karakuri" monster in face-up Defense Position. Negate the activation of an opponent's Spell/Trap Card and destroy it. The negating card of Karakuri. 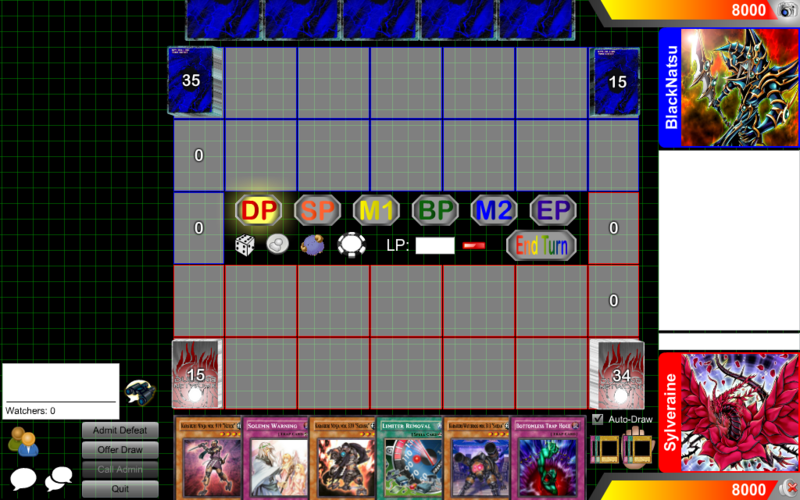 It's not exactly hard to use it, seen how a lot of Karakuri Monsters end up in defense Mode, but with the spamming and OTK potential it has, it's rather slowing down then actual helpful. So, you now know the main focus of the deck. But how do people side against it, and if you run it, what can you side? Well, mostly, you'll see Cyber Dragons coming up, or Chain Disappearance against your Ninishi or Nishipachi. As for what you can side, there is the diversity of the deck. It can side both into Imperial Iron Wall, AND Dimensional Fissure. That being it's ability, it can hit many decks pretty hard. And it's quick ability to summon Beast makes it even more dangerous against Prophecy. This is a basic explanation on how it works. You simple drop the Effect Monsters, and Synchro into the boss Synchro Monsters. Mostly, Burei or Bureido, and a Barkion and Beast. To go on with your plays, cards like Solar Wind Jammer, Iron Call and De-Synchro can be used in a deck. It gives you the ability to go further then just a single Burei. Also, for the real painful OTK, run Limiter Removal. They're Machines, so it really is worth it. All in all, Karakuri have a lot of good cards, and Supports itself quite well. It's consistent, it has major OTK options and capability, and is able to lock your opponent with the Beast Barkion combo. It makes Prophecy cry, and Dragon Rulers are getting it harder, if you have proper hands. Basically put, the deck is nice, and can make very sudden plays that can be considered broken. The shame is, that it's stopped by Torrential Tribute, Warning, Judgment or Veilers too easily. There's wuite some support, like before mentioned, that is useful in here. Such as the aforementioned Solar Wind Jammer, Iron Call, De-Synchro and Limiter Removal. But there are other ways to make the deck work. For example, using a Psychich Engine also helps, due to the simple fact that the only requirement for Burei[do] is a Machine Type non tuner. So you simply summon a Level 4 Machine, Nisamu or Kuick, and use Emergency Teleport to summon Psychich Commander. Et voilá, Burei is made. and you can still even use Ninishi's effect for the second one then. Ok, so the duel begins. I beat him in RPS, so I’ll start. 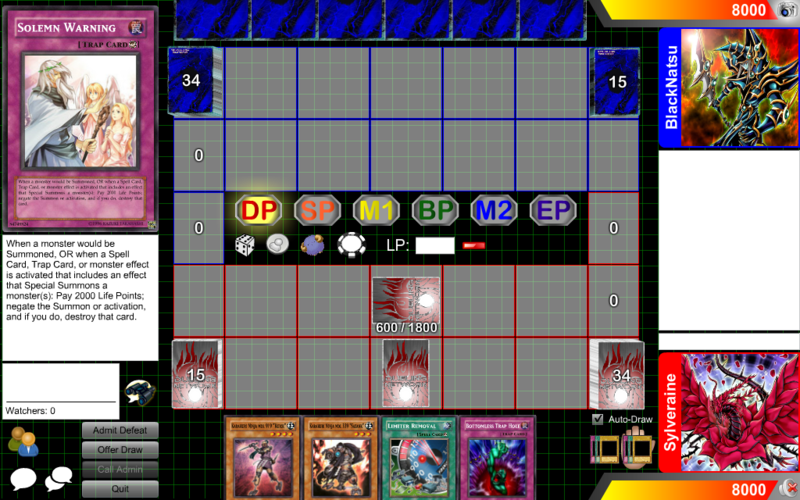 Not exactly the best hand, had hoped for Nisamu. We’ll Set Watchdog, and Warning. Just in case he goes all rowdy and starts spamming stuff I don’t want to see. His Turn. He Sets a monster, and ends with that. Not much impressive, but that’s only good. Topdeck into Karakuri Anatomy. Well, that’s good, at least I’ll make some plusses. So, activate Anatomy, and Flip Summon Watchdog, to put a Counter on it. Then, I Normal Summon Sazank. 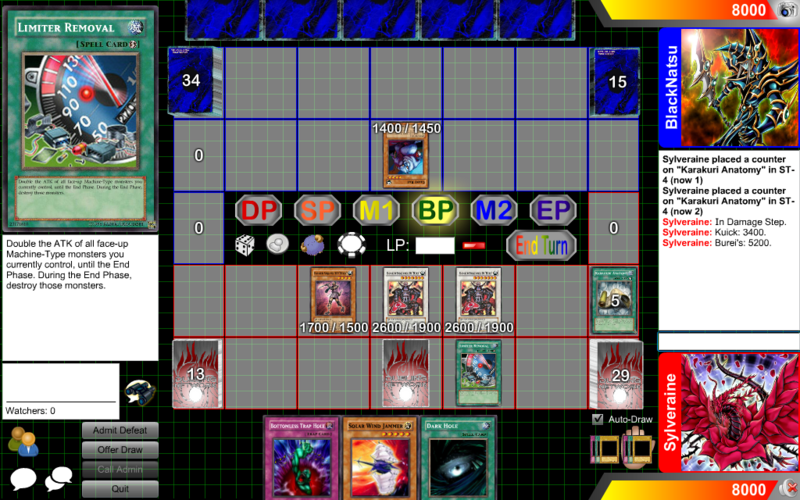 Synchro with Sazank and Watchdog into Burei, and use his effect, to go for Ninishi from my Deck. Now, due to Ninishi’s effect, I get to Normal Summon an additional time, as long as it is a Karakuri. Well, good for me, I have Kuick on hand, so I can simply make me another Burei, and spam some more. Now, I summoned that second Burei in Defense Mode with a Reason. I’ll simply use his effect on himself, to put him to Attack Mode. Then, I’ll be able to put another counter on Anatomy, and draw 2 cards. Well, not the Mind Control along which I had hoped for. But it’ll have to do, if this fails. Now, I use the effect of my initial Burei, to put his monster in Attack Mode, and hopefully, it’s not a Ryko or a Sazank like I had. If this works, I can second turn OTK him. Hopes up! Curses, Giant Rat. At least, there’s an upside to all this. I’ll be able to hopefully, make game with this, since his Monsters all have to be Summoned in Attack Mode. And with Limiter Removal, I get 2 Burei’s of 5200 each, and a Kuick of 3400. So I’m sure that does enough damage for Game. Well, let’s hope no surprises come up. So far, so good. Dealt a fair deal of damage with that attack, and still have my Burei’s open for assault. Well, he gets himself a Serene Psychich Witch. Let’s hope he doesn’t run Battle Fader, that would screw up a whole plan of OTK. Worth a shot. Attack for game, hopefully! And I win! Third turn of the duel, and my own second turn. OTK on him, and he never even had a chance to object. 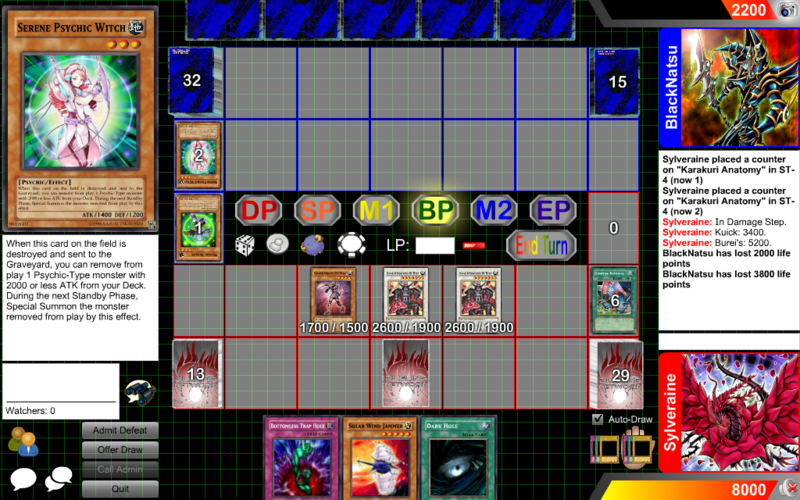 Now, people, this was a quick and good hand of Karakuri, how to play it out when chance given. 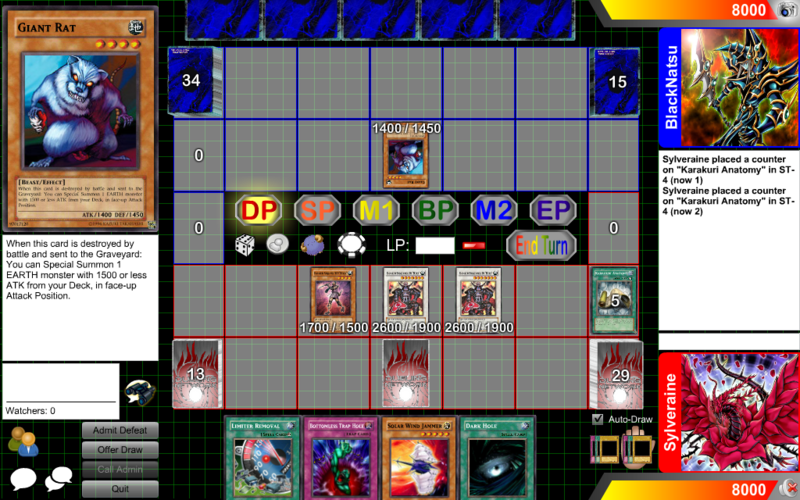 That's how you run a Karakuri deck, with several of the plays in it, and against a Psychich Deck. Thanks to BlackNatsu for helping me on this, and hope it helped you.